Charis Cummings introduces the Eschoir and Eighth Grade. Sweet Music will happen tomorrow evening, November 9. It is an annual fundraiser for the high school choir program. It will be located in the cafetorium and the doors will open at 5 p.m. with concessions starting at 5:30 p.m. Performances will begin at 6 p.m.
Tickets prices are: $8 per student, $12 per senior citizen and $15 per adult. 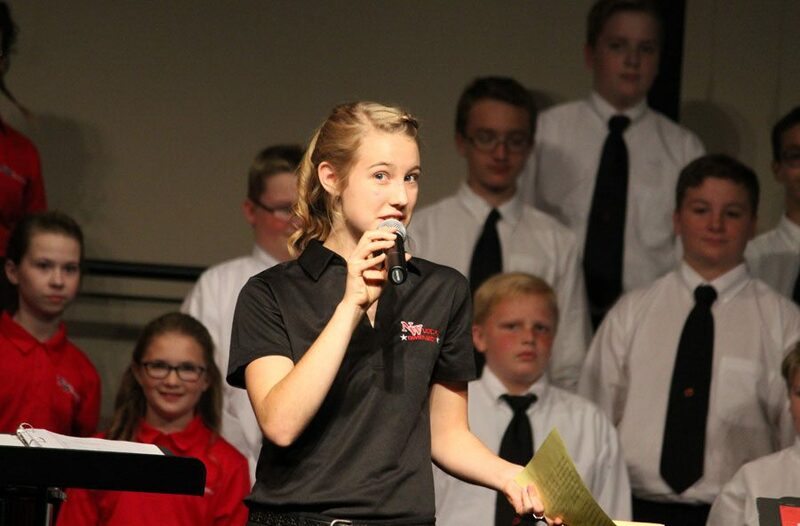 High school students will be performing solos or duets from Broadway musicals or jazz pieces. The event will end at 9 p.m.